Sought after by the most discerning chocolate makers, Lucy Bee Cacao is from a rare breed of Criollo and Forester beans, grown in mineral rich soil. 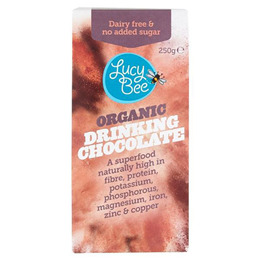 Being a natural cacao, rather than a processed dutch-style powder, Lucy Bee Cacao retains the maximum value of antioxidants and also gives you a richer, fuller, more traditional taste. Lucy Bee Cacao is brought to you from the beautiful mountainous "cacao belt" of the Dominican Republic. You too can experience the wondrous benefits of cacao as enjoyed by the explorer Christopher Columbus all those centuries ago! Great for baking, desserts, snacks and hot drinks. 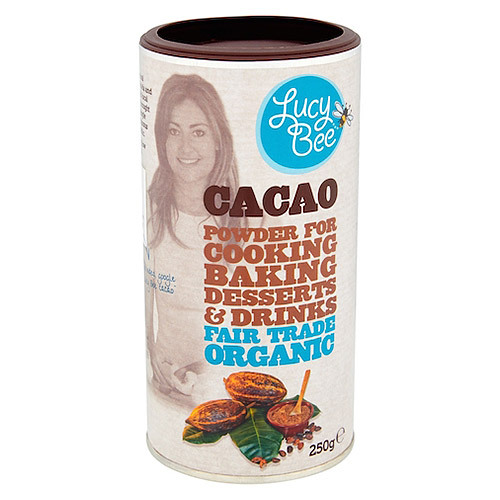 Below are reviews of Lucy Bee Organic Cacao Powder - 250g by bodykind customers. If you have tried this product we'd love to hear what you think so please leave a review. High quality. I use it to make brownies. Love this made up with an unsweetened nut milk as a warm bedtime drink - really hits the spot. Love this raw cacao powder. Use in a healthy hot choc drink daily. Will continue to buy.